West Field Films has, since the beginning, been a production house for narrative work including features, short films and documentary. West Field Films, LLC is a complete production company from inception, to production to post workflow and creation. Our multi-award winning family of filmmakers continues to create beautiful movies because it is what drives them, and West Field FIlms is here to push that drive into action. Commercial Video Production and Trade Films. Taking the spirit of businesses and capturing it on film where consumers can and will discover it. Our "Trade Films" are personal, heart-felt and individual pieces — guaranteed to say exactly what you’ve always wanted to say about your company. With a full range of full crew production levels, videography, and media services available, the possibilities are endless. An International Screenwriting Competition created to benefit screenwriters at any level in their careers, judged solely on the content between the title page and the last. Each category is a competition where screenplays are judged based on their creative merit, technical competency, audience appeal and category and genre based details. 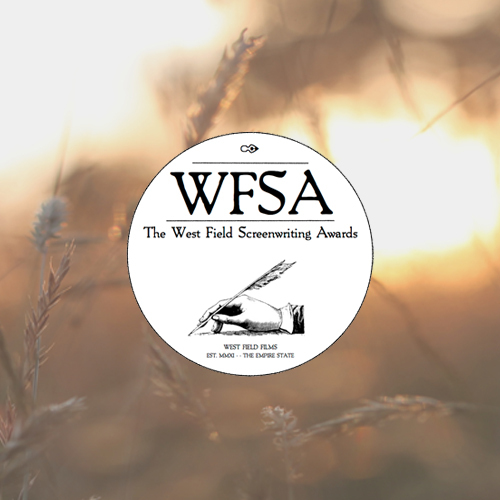 Judged by a panel of professional award winning screenwriters, cinema scholars and movie lovers the WFSA takes an all angles approach to discovering great scripts.